In southern Laos, there's an area along the Mekong River known as 4,000 Islands on account of all the small islands dotting the river. 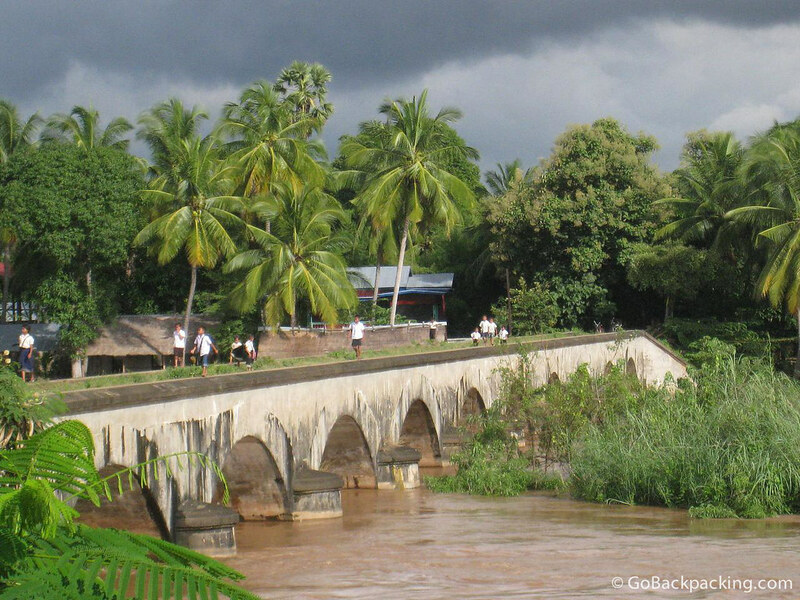 The bridge in this photo, built by the French, connects the island of Don Det, a backpacker favorite, with an island just to the South. I really enjoyed 4000 lakes area – it’s very quite and not very crowded. Hope will remain the same in the years to come..
Nice shot , Dave. I have fond memories of Don Det and Don Khone.